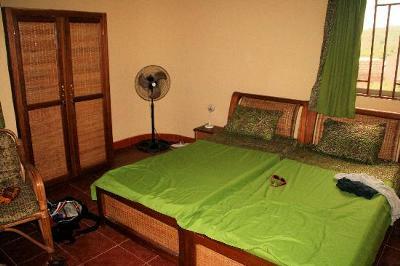 Aplaku Guesthouse is perched on a hill above Accra and has marvelous views of the beautiful beach and the sea. The constant sea breeze and a daily swim in the sea are key factors which will make your stay in our quiet retreat quite unforgettable. It has well trained staffs, whom you can count on for excellent services with joy and a smile. The rooms are designed and arranged to suit your taste and more importantly, they are very clean. If it's your first time in Ghana, you will have nothing to worry about, because we will provide you with all the information to find your way around Accra and surrounding areas just to make your trip a successful one. Public transport can take you to visit all the areas in Accra, and the bus stop is only 500 metres away. Alternatively, there are many taxis available. We can even arrange for you to have your own private taxi. This place is really beautiful and full of luxury life to live. Aplaku is very important place for visitors that’s why people made here guestrooms to live and here in blog there is discussion and pictures about these guestrooms. read more about Aplaku at research paper writers online So if anyone want to go there he must read this blog for information.